"Lead the Life You're Meant to Live"
SerenDestiny #56: Is Your Calling … Calling? After interviewing thousands of SerenDestineers around the world; I’ve come to understand many of us have a misunderstanding of what a “calling” is. We think it is some Holy Grail moment where our “purpose” shows up in a blaze of glory. Kind of like the Academy Awards of Purpose. The heavens part, the trumpets play and the angels deliver a gold-embossed envelope. We open it – and there in glowing letters – is what we’re supposed to do with our life. It doesn’t really happen that way. Clarity about who we are and why we’re here reveals itself over time. It’s a thousand inklings … a thousand intuitive nudges … of what sounds interesting and what doesn’t; of what we like and don’t like; of what calls to us, what doesn’t. We navigate our way through these mini-decisions of what feels good, right and resonant – and what feels bad, wrong and dissonant … every day, every week, every month. The decisions we make at those Crucial Crossroads accumulate into a life that either is a reflection of our quintessence, a life that feels like us – or a life that feels wrong, that feels like someone else’s. Therefore, our SerenDestiny® – a life where the light is on in our eyes – is a coalescing and accumulation of congruent actions taken at Crucial Crossroads. Those Crucial Crossroads don’t just happen at momentous occasions – graduation, marriage proposals and job offerings. * Should I have lunch with my supervisor even though I don’t like him – but he’s in a position to give me a raise? * Should I sign up for that 10k and train for it – even though I’m busy? * Should I major in accounting because that’s what my dad is and that’s where the jobs are – even though I hate accounting and the thought of becoming a CPA makes me depressed? * Should I follow this hunch and go to this free seminar on how to start your own business – even though everyone is telling me it’s a real risk to open a business in this tough economy? * Should I get up early tomorrow and have some private time so I’m not rushing through the day feeling like I never get time for myself? Those “little” decisions made at your Crucial Crossroads have a huge impact on whether you like yourself and your life. And, in the final analysis, that’s what SerenDestiny® is. It’s not having the perfect job. It’s not being in a relationship with the perfect person. It’s not being perfectly healthy and having the financial freedom to do what you want. Those are all nice – but they don’t guarantee you’ll have the light on in your eyes. What puts the light on in your eyes is obeying your gut instincts that say DO THIS – DON’T DO THIS. Those hunches are your 6th sense SerenDestiny® detectors. They are signposts pointing the way to a congruent life that feels … right. 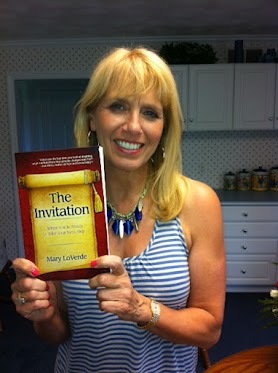 My friend Mary Loverde, pictured above, is a Life-Balance expert and author of the inspiring book The Invitation. 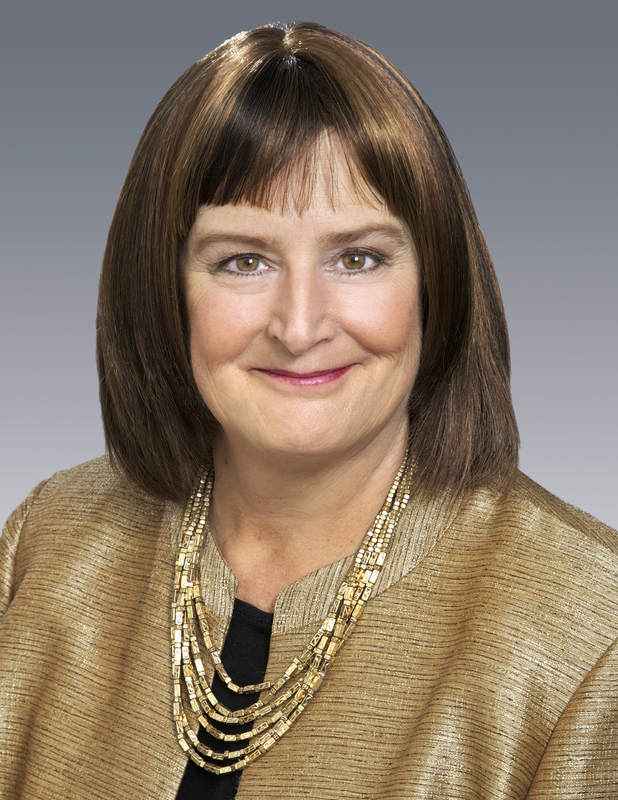 Mary just gave a commencement speech at her alma mater. They know they’re going to be asked the “Now that you’ve got your degree, what are you going to do with your life?” question dozens of times by well-meaning friends and family. For many of them, they have NO IDEA how to answer that question. 50% (50%!) of all graduating seniors do not have a job lined up. The months ahead are going to be filled with frustration as they apply for jobs and don’t even get an interview. So, what shall they do? They should stop relying on the traditional business world to give them a paying job, to define their purpose in life for them. What will really move them forward is to fill each day with activities that feel right to them. That could be volunteering for a non-profit that gives them opportunities to give back so they feel useful. That could be identifying someone who is doing work they admire – and volunteering to intern for them for the next three months – pro bono. That way, they could be waking up every morning and have somewhere to go, something to do, something that gives their days meaning and momentum. They could be apprenticing for someone they respect, producing work that goes into their portfolio. That way, they will have something to show for the next three months. They will have learned valuable on-the-job skills instead of sitting in their parents’ basement and waiting for the phone to ring. How about you? What is one thing you’re going to do today that feels right? There are aspects of our life out of our control. We may feel locked into circumstances not of our own choosing. We may feel we don’t have the option to do what we want, to make whole scale changes. In other words, we don’t find our purpose – we give ourselves a sense of purpose by doing “little” things every day that are in alignment with our integrity, intuition and interests. And in doing so, we become the kind of person who creates our own calling. Everyone is looking for someone who knows who they are. Wen you are “true to yourself,” you create a state of SerenDestiny where life feels …right …or at least…better. Posted in achieve your goals, believe in yourself, what is my higher calling? Tagged apprentice, college grads, commencement address, commencement speech, graduation, gut instincts, how can I find my purpose?, mary loverde, sam Horn, SerenDestiny, The Invitation, what am I going to do with my life?, what are hunches? intuition, what are you going to do, what is my higher calling?, what's my calling, what's my purpose?, what's the meaning to life? "Sam Horn, Author and keynote speaker on SerenDestiny"
SerenDestiny #70: Am I Waiting for My Real Life to Begin?